What comes in your mind by the mention of the term ‘virtual reality’? Most people will conceive it to be either a film or a game set. However, Virtual reality (VR) is an artificially generated environment by a 3D computer program and then presented to its user in a manner that simulates reality, hence has a definition beyond film or video programs. The adoption of VR technologies globally has been influenced by social, economic, and technological dynamics. For example, in the field of medicine, the VR has been used to improve various traditional therapeutic methods for cases such as PAST and social disorder. Globally, the adoption of VR has been vigorous due to its dynamic capabilities. From video to phone games, the tech is fast growing. Analysts indicate that by 2022 the industry would have hit about $33.90 billion. Today, VR technologies have risen to world brands such as Samsung Gear, Oculus, and among others. An indication that the tech exceeds the mere video and video game connotation. But what does this mean to the marketing industry? VR bring about a new platform for businesses in the world of marketing, especially for companies when it comes to engaging their clients. Generally, marketers and companies are often looking for better approaches on how best they can package their goods and services, an event that brings the VR into perspective. For example, estate agents can use it to give their customers a virtual walk on the potential property. The Westfield shopping center in the United Kingdom uses VR headsets to display their latest collection of fashion. In the US, juries have used VR techs to make convictions. So, how do these dynamisms affect marketing especially in the field of Law? Technology is regarded as one of the most effective approach to marketing. Most law firm marketers online have adopted video marketing solutions as a compelling way to drive visitors to their websites into contacting them. As of 2016, it is estimated that up to 96 percent of B2B companies have engaged video marketing, of which, 73% acknowledged a positive ROI impact. The VR concept comes in handy in the video marketing by offering a 3-D dimensional experience. The 360-degree experience by itself changes how video marketing is done, since it makes the videos more realistic and customers’ motivating. This also provides marketers with an easier time while illustrating their concepts. The VR also presents an alternative to video streaming for ads, same as the television. The VR tech has been transformative on how most product testings are conducted. Product testing, as a marketing technique it can be used by marketers to give customers an experience of the real product. The VR comes in handy, in instances when some productions such as from law and architectural services that cannot be given in samples or portion like a pastry. Thanks to the VR, an almost leveled field in marketing has been achieved. Lawyers can illustrate to their customers how they intend to prosecute their cases without necessarily visiting a courtroom. Most organizations have partnered with the VR service providers to enhance their customers travel experience, software, and clothing trials. Also, thanks to the VR you won’t be seeing some salespersons knocking at your doorstep or scheduling for a product’s demo’s appointment. In brief, VR provides a marketer with enough intelligence to understand their customers. With the VR technology, companies or marketers take less time to understand their client’s needs or demands. This has been validated by the capacity of the tech to generate a virtual product as per the customer’s requirements. In the field of litigation, lawyers and prosecutors could save the time in lawsuits by illustrating their cases using VR gadgets such as holograms. Noel Edlin visualizes that VR can be used to transfer a jury to the actual seen of crime. In short, marketing practitioners could use the tech to make remote depositions in a way that removes distance and time barriers. The marketing industry is one of the most competitive fields. The more a marketer treats their client to a better experience, the more the likelihood of retaining them. Most customers do not like being treated just as ‘mere numbers.’ By giving customers the chance to have an insight and experience of a company’s operations and productions, marketers would be elevated to a new level of marketing which boosts clients-business relationship and vice versa. With the VR tech experience, marketers can improve their connections with customers in several ways. In improving the way of engaging with customers, there is a higher probability of companies attaining improved sales. As illustrated above, by 2022 the industry would have hit about a $33.90 billion mark. More so, this factor can also be attained through the quickening of the supply chain of goods and services from producers to buyers. From the litigation industry scenario, most law firms have been able to maximize their sales via VR tech programs’ promotions. To sum up, the arrival of VR application brings about a new set of opportunities as well as setbacks in marketing management. Whereas VR programs have the potential of shaping the future of businesses and general marketing issues, there is a severe lack of enough research to identify the major themes to describe VR application from customers or marketing perspective. 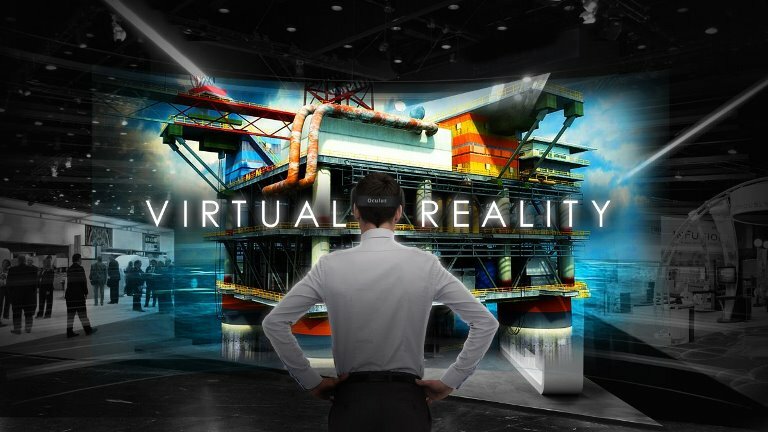 Other challenges emanating from VR applications include ethical considerations, technical investments, and financial costs of the technology. Regardless, if you are drafting a marketing plan, then incorporating or considering VR systems would be fundamental in this techy savvy era. For law firms, definitely this is your best bet. Not only does it make your marketing easier but also improves your viability to winning cases so does client relationship. Therefore, embracing the VR is like accepting the future, let’s embrace the VR.